Come listen to Motown Chart Toppers like “Endless Love” this Thursday and Friday at the Bliss Center for the Performing Art. Start Time: 8pm – Tickets are: Reserve $30 General $20. 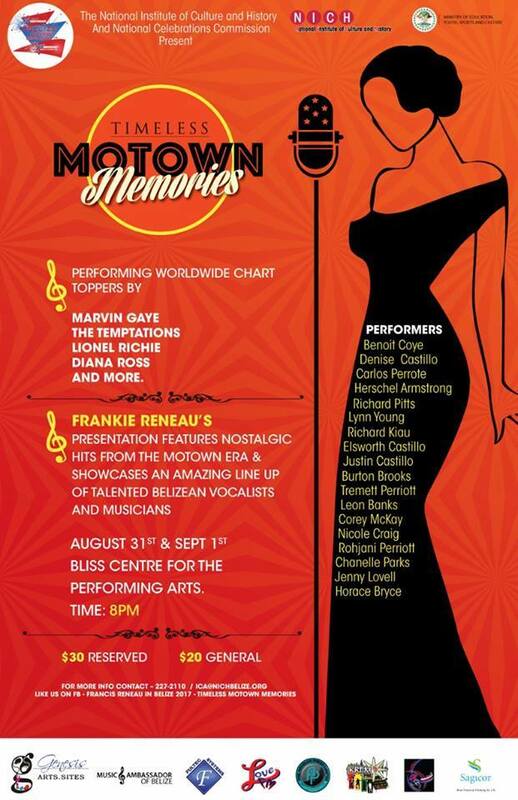 The show promises to be a nostalgic one offering an amazing showcase of Timeless Motown Memories featuring hits from the Motown era & showcasing an amazing lineup of talented Belizean vocalists & musicians.